Austin-based Startup ICON is changing the way houses are built around the world and at home. ICON printed the first permitted 3D printed home in Austin. Who says a house can't be built in a day? ICON, an Austin-based construction technology startup, recently made headlines when it 3D printed the first permitted 3D-printed home in the US. The home was created in about 48 hours using its proprietary 3D printing technologies and materials. The first ICON house, a 350-square-foot tiny house in Austin, cost about $10,000 to print and serves as a proof of concept for the company and its partner New Story, which aims to build a community of printed homes in El Salvador. The company's mission is to allow people to download and print their homes in as little as 24 hours for half the cost. ICON expects to be printing homes in the US beginning in 2019. The company says it's also actively researching printing technologies that could be used for future off-planet habitats. This magazine spoke with Jason Ballard, co-founder and president, TreeHouse, a sustainable home improvement store in Dallas and Austin, and the co-founder of ICON, about his startup and its success in Austin, Texas. This is a really cool, game-changing technology. What's your ultimate goal for this company? JASON BALLARD: Thank you. We're pretty excited about the reception to our announcement and first project. ICON is a construction technologies company dedicated to revolutionizing homebuilding. Through proprietary 3D printing technologies and cutting-edge materials, ICON provides sustainable solutions to a number of our world's most pressing issues, including the global pandemic of homelessness; the increasingly inaccessible cost of home ownership in America and abroad; fundamental issues of sustainability, resiliency, and building performance of conventional construction methods; and the challenge and opportunity of constructing off-planet space habitats. How does being located in Austin help your business? BALLARD: We are a global business, but having our roots in Austin has proven beneficial in a number of ways. Most importantly, my roots are in southeast Texas and this is the second company I've co-founded right here in Austin with the first being TreeHouse. The other co-founders (Evan Loomis and Alex Le Roux) have deep roots in Texas and/or Austin, and our partners on the first ICON project are all companies founded in Austin. We also worked with the University of Texas engineering department as advisors on the first home print. How would you describe the startup ecosystem in Texas and Austin? BALLARD: I believe it's a bit strangely built and world focused. Look at all the organizations working on buildings and housing from ICON, TreeHouse, Kasita, Pecan Street Project, Center for Maximum Potential Building Systems, and Reaction Housing to Building Science Podcast, etc. It's like Silicon Valley for the built environment. Atoms, not electrons. 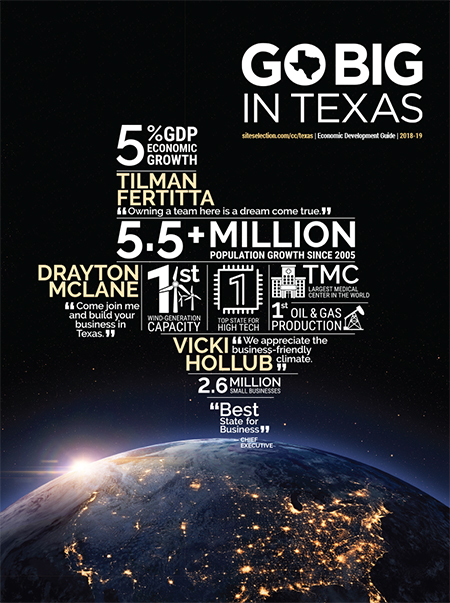 Tell me a bit about how the incubator Saturn Five in Austin helped set ICON up for success. BALLARD: Saturn Five is a company that helps build great companies. They do more than invest: They are entrepreneurs who help start, fund, operate, and grow strong businesses. What is particularly great about Saturn Five is their ability to play the long game and help build companies that bring real value to individuals, families and communities. Did you work with any other organizations to get the company up and running? BALLARD: ICON had several different teams involved in the launch of the company and through the first project, the prototype home printed in Austin, Texas that serves as proof of concept for the partnership with the non-profit, New Story. First and foremost, KEEP Real Estate helped identify and source the site where the first permitted 3D-printed home is located in East Austin. Austin Stowell from KEEP Real Estate is an expert in navigating the complexities of the Austin real estate development process. Alchemy Builders' Taylor Jackson, has a long friendship with the ICON founders, and jumped at the opportunity to play a role in bringing 3D printing technology to the construction industry. In addition to serving as a construction advisor, he finished out the non-printed elements of the ICON concept house. Andrew Logan of Logan Architecture was responsible for the design of the home to meet the partner, New Story's, vision and needs for in-country in El Salvador, where the teams will print a community of homes in the coming 18 months. Logan Architecture is a client-focused firm based in Austin with extensive experience in all scales of residential and commercial design. Alongside ICON, the teams worked together to establish the necessary permissions to be able to build this prototype structure.